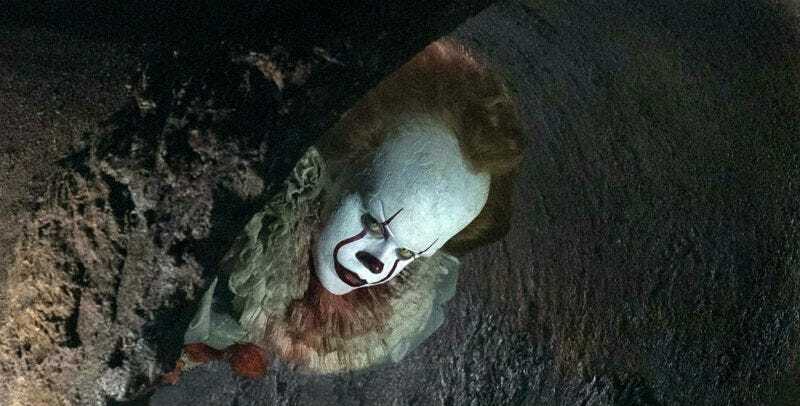 For years, fans have been waiting for a big screen adaptation of Stephen King’s It. They’ll get one in 2017, but the latest image from the film is incredibly odd. Here’s the full image, courtesy of Entertainment Weekly. Now, we get it. It’s Pennywise, the kid-killing clown, lurking in the sewers. But doesn’t it just look...off? Like he’s photoshopped in there? Someone else said he looks like he’s coming out of a muffler? Maybe it’s the textures of the pipe, the sneaky way he’s peeking out, the fact we don’t see the rest of his body. But the more you look at this image, the weirder it becomes.